Full Flight Birds of Prey runs a highly specialised rehabilitation unit which allows us to provide the best possible care to injured wild raptors - ensuring the greatest chance for release and survival. 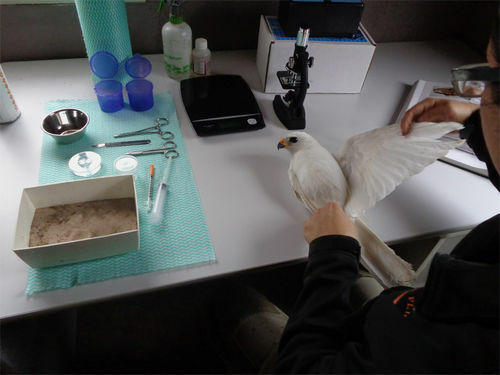 Full Flight staff have an intimate understanding of what these birds require to survive in the wild. 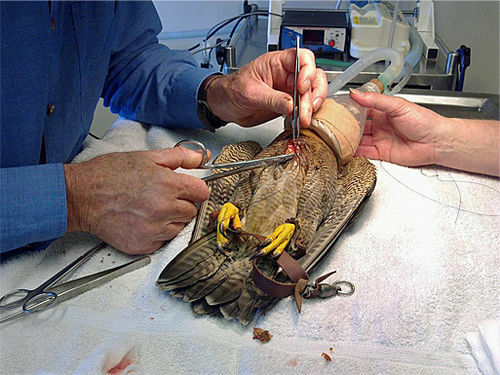 This understanding is an integral part of a good release program as the rehabilitation of raptors is extremely complex. These birds are built like athletes - if they are not in peak physical condition they will be unable to hunt effectively in the wild, and will not survive. Because of this, rehabilitation requires an extensive fitness regime in addition to caring for whatever injuries the bird may have. Sick, injured or orphaned wildlife may be cold, shocked, highly stressed and/or dehydrated. By law all native raptors are protected and may not be kept as pets. If you find an injured raptor please get the bird to a qualified vet or rehabilitator as soon as possible - delays can be fatal. You can contact Full Flight on 0429 959 991, or, alternatively, Wildlife Victoria (24hr) on 13 000 94 535. If you cannot catch the bird without injuring yourself or further injuring the bird please call Full Flight or a wildlife rehabilitator to come and collect the bird.